The 19-year old phenom is perhaps the most talked about player in hockey right now, and he takes center stage leading a group of elite young players in a tournament against the best and most experienced players in the world. There’s no doubt to anyone in hockey that McDavid could be playing for Canada in this tournament, and he certainly has a bright future ahead representing the Red and White. However for the first time in his career, he (along with all his teammates) will be competing against his home country, and while that may seem weird to Canadians it’s what makes this tournament structure so appealing. Joining McDavid on North America are some of the brightest prospects in hockey like Jack Eichel, Auston Matthews (see below), Jonathan Drouin, Johnny Gaudreau, Nathan MacKinnon, Aaron Ekblad, Shayne Gostisbehere and Mark Scheifele to name a few. His Oilers Coach Todd McLellan is the Head Coach for North America so there is some familiarity there, and McLellan will lean on McDavid heavily to lead the way in this tournament choosing him as team Captain for the tournament (and possibly future Captain of the Oilers too?). With McDavid leading the way, don’t be surprised if they start winning games and upsetting some teams. As expected the star-studded Red and White head into the tournament as both the defending Champions (from 2004) and favourites to win the 2016 World Cup of Hockey. There are many elite players on this roster that deserve to be spoken about, but the most interesting to me is none other than Lightning Captain Steven Stamkos. After all it was only 2 years ago that Stamkos was forced to miss the entire Sochi Olympics with a devastating broken leg, his chance at representing his home country on the world stage shattered before it even began. Many pegged him for a spot on Sidney Crosby’s line, but that’s not how it worked out and he had to stay home and watch Canada take home the Gold. After an eventful summer in which Stamkos was the most sought-after free agent, only to re-sign in Tampa Bay, he’s ready to give it his all for Mike Babcock and Team Canada. Expect him to be a key part of Canada’s offense in this tournament and a difference maker for the Red and White, keep an eye out for the mighty one-timer of #91. The reigning Hart Trophy winner enters the World Cup after leading the NHL with 106 points this past season, including a career-high 46 goals. A lot of the talk about Team USA has been about Head Coach John Tortorella and some of the team’s questionable roster decisions (such as not taking Phil Kessel or Tyler Johnson), and because of this there will be pressure on Kane (the Alternate Captain) to the be the go-to guy offensively for the Red, White and Blue. The Americans had a disappointing result in Sochi in 2014, losing to Canada 1-0 in the Semis and than missing out on the Bronze medal to finish 4th. If the Americans are hoping for a better result at the World Cup, they will need Kane to be at his absolute best and scoring big goals. Look for a big tournament out of the trio of Patrick Kane, Blake Wheeler and Captain Joe Pavelski to lead the way for Team USA. If Kane showed us anything this past season, you want to watch whenever #88 is on the ice and has the puck on a string. Don’t be surprised if he leads the tournament in scoring when its all said and done. A consistent summary of the strengths of Team Sweden heading into the World Cup always seems to focus around the word “defense”, and that’s not just because of the defense-first hockey style that Sweden is known for. It’s due to the fact that Sweden has assembled the best defensive unit at the tournament, and they are lead by 2-time Norris Trophy winner Erik Karlsson. Joining him on the blueline is Victor Hedman, Oliver Ekman-Larsson, Anton Stralman, Niklas Hjalmarsson, Matthias Ekholm and Hampus Lindholm, a talented group featuring a mix of elite two-way defenseman. Karlsson is by far the best offensive defenseman in the tournament, and we all know that the Senators Captain can put up points with the best of them (82 points in 82 games last year). With Karlsson QBing the powerplay, the Swedes could be very dangerous with the man advantage and has the potential to score in bunches. The Swedes will rely on their defense to provide a spark offensively and create a balanced attack, one that has suited Swedish hockey so well in the past (winning Silver in Sochi). Keep an eye on #65 whenever he’s on the ice, or at least try to keep up with him and his fantastic skating stride. We all know the firepower that Team Russia has, the Ovechkins, Datsyuks and Malkins that have been the face of Russian hockey for over a decade. These guys are still here ready to lead the way at the World Cup (in fact Ovie is the Captain, Malkin/Datsyuk Alternates), but a new youth movement is making waves in Russian hockey with the likes of Artemi Panarin, Vladimir Tarasenko, Nikita Kucherov and Evgeny Kuznetsov. I could speak on each of these players individually and what they bring to the table, but the most intriguing is the reigning Calder Trophy winner Artemi Panarin. Panarin spent the first 6 years of his career in the KHL, but he made the shift to the NHL last season and didn’t disappoint putting up 30 goals and 77 points for the Blackhawks. Panarin continued his success in the World Hockey Championship, finishing 2nd with 15 points in 10 games. His linemates at that tournament were Vadim Shipachyov and Evgeny Dadonov, both who are on Team Russia and potential linemates at the World Cup. Panarin could be one of the key offensive pieces for Russia to be successful in this tournament and going forward for Russia hockey. Having Team Europe in this tournament certainly confused some people, many wondered why didn’t they just include two other countries such as Switzerland and Slovakia? However, a big reason this format works is it allows players like Anze Kopitar to compete on hockey’s biggest stage, something he hasn’t had much opportunity for in the past when representing his home country Slovenia (their first major international tournament was Sochi in 2014). Kopitar will lead the way for coach Ralph Krueger and his team, both as the team’s Captain and offensively as their best player. We all know that Kopitar is one of the best centers in the NHL, capable of competing against the best in the world, and he will be relied upon to be at his best. Kopitar will need to gel quickly with his new teammates and potential linemates such as Marian Hossa, Marian Gaborik, Leon Draisaitl and Mats Zuccarello if Team Europe is going to win some games. It’s been quite the summer for Kopitar, who was named Captain of the Kings before being named Captain for Team Europe. Keep an eye out for #11 on Team Europe. Has Finland finally found their new face of hockey? For years it was Teemu Selanne, the prolific goal scorer who lived and breathed Finnish hockey and always enjoyed a chance at representing his country. The talent pool for Team Finland has improved drastically the last few years, and they have their future superstar in Patrik Laine. Entering this season, it was always a 3-headed race between Auston Matthews, Laine and fellow Finn Jesse Puljujarvi for the 1st pick in the 2016 NHL draft. While Matthews did end up going #1 after all, it was Laine who stole the show this season and showed everyone why he’s going to be a star. He started his year by leading Finland to Gold at the World Junior Championship, and then followed that up by leading his team Tappara to a Finnish-league Championship and winning playoff MVP. 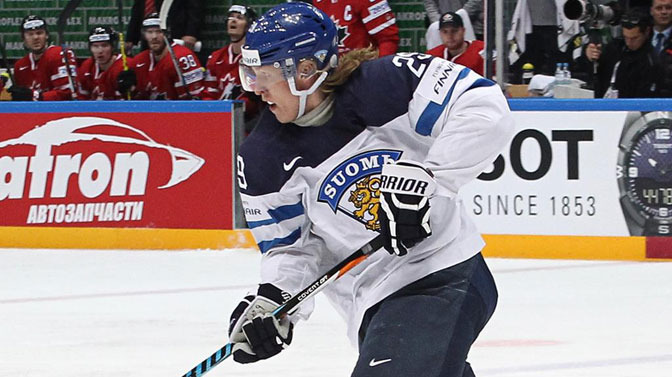 Laine then lead Finland in scoring with 12 points in 10 games at the World Hockey Championship where they won Silver and finished his year being drafted #2 to Winnipeg (the same place Selanne was drafted). Both Jets and Finnish hockey fans are dying to see what Laine can do in this tournament, and he could be a difference-maker for Finland. The Czechs enter this tournament missing two key pieces on forward in 44-year Jaromir Jagr and the recently-injured David Krejci, and because of this a lot of the offense will rely on Jakub Voracek. The 27-year old had a down year this past season for the Flyers with just 11 goals and 55 points in 73 games, but its hard to forget the year before he was one of the best players in the NHL putting up 22 goals and 81 points in 82 games. 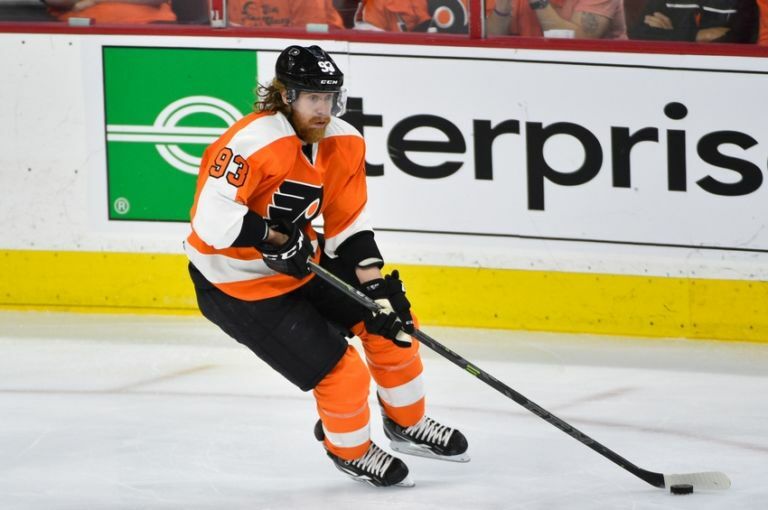 Voracek has the ability to carry the offense for the Czechs, and there will certainly be a lot of pressure on both him and Tomas Plekanec to produce. Many people are predicting the Czechs to be near the bottom of the World Cup due to a young, inexperienced roster and it will be interesting to see how the team ends up playing. If they don’t do well, people will wonder if another country deserved to be there instead. If they have success in this tournament, it will come off the stick of #93. If Stamkos was the most eager skater to represent Team Canada in this tournament, you could certainly make a case for goaltender Carey Price as well. The hockey world watched as he missed most of last season with a nagging knee injury, one that certainly took a toll on his Montreal Canadiens and their fans after such a good season the previous year. Price has stated his desire to be the #1 for Canada in this tournament, insisting he is ready to go despite limited action the past year. However, it’s hard to ignore how good Price is and has been in the past, including leading Canada to Gold in Sochi in 2014 and winning the Hart and Vezina Trophies in 2015. Price will certainly be the go-to guy for Mike Babcock to start this tournament, but there are two very capable goalies behind him in Braden Holtby and Corey Crawford should Babcock need to make a switch. Either way, Canadian hockey fans (Montreal Canadien fans especially) are eagerly waiting the return of #31 and hopes he can return to his MVP-form at the World Cup. I talked about the #2 overall pick in this year’s draft in Patrick Laine above, and there’s no way I was going to leave off the youngest player in this tournament in 18-year old Auston Matthews. The spotlight has been on Matthews for well over a year now, and that started with his decision to play for Zurich in the Swiss League instead of Junior Hockey leading into his draft year. Matthews was the consensus #1 pick from start to finish, and Leaf fans are eagerly waiting for a first glimpse of their prized prospect before the season begins. Matthews definitely has a bright future ahead with USA hockey, but for this tournament he’ll join McDavid and co. on Team North America in the hopes of youth upsetting experience. Having played with strong competition in Switzerland and in the World Hockey Championship this summer, Matthews is ready to prove he belongs with the worlds best. Going to be interesting to see what impact the #1 pick has in this tournament, but he will certainly be one of the most talked about players and is a must watch.